Source: CherryCulture.com! All the images in this post were pulled directly from their site. This brand is one of Cherry Culture's more recent additions. I love my China Glaze polishes. Their cremes tend to be especially good and work perfectly for water marbling! 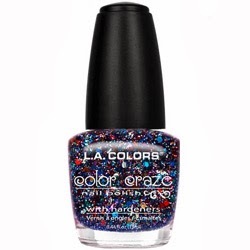 China Glaze can be pricey in beauty shops or salons unless you find them on clearance, and their prices have even been raised a bit on some of my other discount nail polish sites. Currently on Cherry Culture you can get most of their colors for $2.99 a bottle (once you apply the 25% off code), which is dirt cheap! Some of my most-loved and most often used colors come out of this collection. These are great performing 2-coater pastels and brights that are a wonderful addition for anyone who enjoys colorful nails, or needs some basic colors for nail art. I own all but one from this bunch! Also, these tend to be hard to find in stock, because of their popularity. Right now Cherry Culture seems to be well-stocked for the sale, yay! Yes, more cremes. Good cremes, though! Really good cremes. 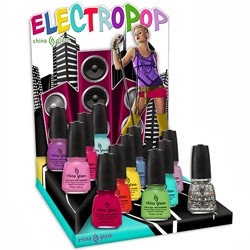 I especially love Aquadelic, Dance Baby, Kinetic Candy and Sweet Hook. 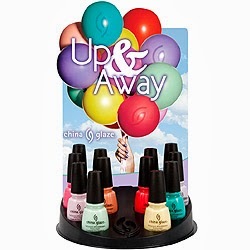 One thing to note is that Wicked Style is practically a dead-on dupe for Heli-Yum from the Up & Away collection. Both are colors I love, but you don't need both! This is an older collection but it includes three of my most-loved glass-fleck polishes: 108 Degrees, Blue Iguana, and Senorita Bonita! For being "cheapie" polishes these tend to be very good! I've got a bunch of them. The website swatches really don't do them justice. My suggestion is to look up swatches of the collections Online! I'm pointing this bunch out because of the few very unique glitters they released last year. See my swatches here! 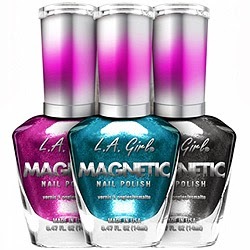 This is a dollar store polish line but I can't usually find very many locally, and it's just as cheap to buy them on Cherry Culture when I earn free shipping. Did you love Zoya's Storm and Aurora polishes? If so, this collection is for you. They have the same holographic microshard glitter in jelly bases! I just finally managed to snag a few during this sale for myself, as they were out-of-stock before. From looking at swatches Online it seems that their Purple Effect polish is a dupe for Aurora. 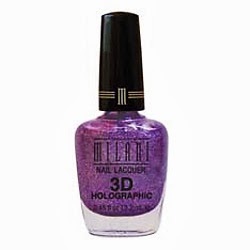 If you like the sparkle but not the colors, grab 3D silver - it contains the glitter in a clear base. Can you tell I love a lot of L.A. Girl collections? What can I say, they are good quality and affordable. These glitters-in-a-clear-base are great basics for layering, and my top pick is the black glitter, Uninhibited. It was one of the first available black glitter toppers, before the black glitter craze even hit! If you like metallics, and in particular foils, have a look at these. 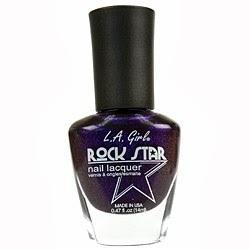 Most of the shades here are highly-pigmented, wonderfully formulated foils. A few are metallic shimmers. Again, you'll find swatches Online if you search for the color you're interested in. My favorites are Chromium Green, Graphite, and Pink Steel. This one has a little bit of everything. 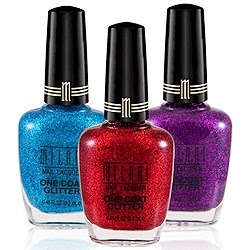 Awesome dark shimmering shades, fun glitter and shimmer toppers... Once again I suggestion looking for swatches of the collection Online rather than going by the dinky site swatches. A drugstore brand, but I can't usually find all the colors in my local CVS, and Cherry Culture tends to stock them cheaper. Their newest collections, Retro Glam and Exotic Plumage have both had highly favorable reviews, and you'll find them both here. The special black & white glitter toppers are listed separately, however. Super-sparkly, textured glitter polishes to be found here, as well as a few glitter-packed but not "sand" or "sugar" finish ones. I very recently used Pink Flash! I have been using and loving these for quite awhile now. They are affordable linear holographics with user-friendly formulas. Their rainbow effect isn't crazy-strong, but they really are stunners! I think it's because of the holographic microshards in them. These can be worn on their own, but my Mom and I have found them to be excellent for layering over other shades. 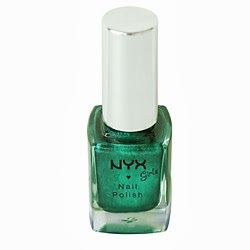 I like a lot of Nyx products, and their nail polish as well! I buy almost all of my Nyx stuff from Cherry Culture because I can get it so cheap during their various sales! 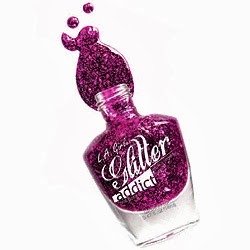 Really low-priced polish, really nice colors, glitters, and formulas. I have quite the assortment of these! My absolute favorite has to be Dreamy Glitter, thanks to it's beautiful little pink stars. Grab it if you're into delicate glitter toppers! 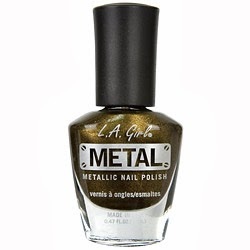 I haven't experienced any duds from this line of polish, but I have been happiest with the metallic, glitter and shimmer shades.